Here’s all you need to know about the 2nd match of BBL 8 between Sydney Sixers and Melbourne Stars at the Sydney Cricket Ground (SCG), Sydney. 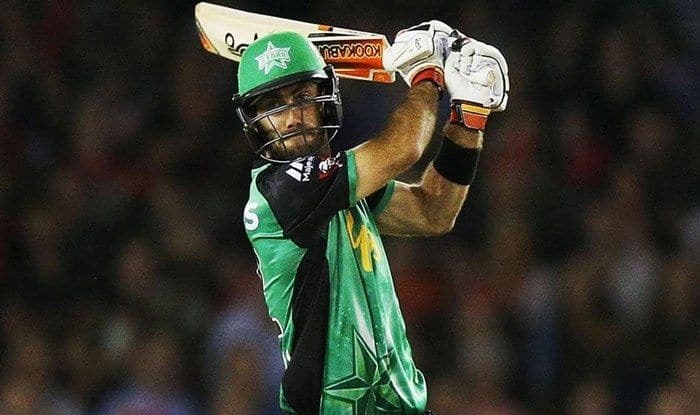 BBL 2018-19 Sydney Sixers vs Melbourne Stars Live Cricket Streaming: Both Sydney Sixers and Melbourne Stars will be looking to get back to winning ways after losses on Christmas Eve in the eighth edition of Australia’s famed T20 competition – Big Bash League. Both the teams will be looking to get some points under the belt when the two sides meet on Thursday night at the historic Sydney Cricket Ground (SCG). Australian Test squad member Peter Handscomb’s inclusion is a huge boost to the Melbourne Stars outfit. Here’s all you need to know about the 10th match of BBL 8 between Sydney Sixers and Melbourne Stars at the Sydney Cricket Ground (SCG), Sydney. What time does the Sydney Sixers vs Melbourne Stars match in the BBL 8 starts? The Sydney Sixers vs Melbourne Stars match in the BBL8 starts at 1:45 PM IST, 27th December (Thursday). Where is the Sydney Sixers vs Melbourne Stars match in the BBL 8 being played? The Sydney Sixers vs Melbourne Stars match will be played at the Sydney Cricket Ground, Sydney. Sydney Sixers vs Melbourne Stars match in the BBL8 will be live telecast on Sony Sports Network in India. How to watch the free online live streaming of Sydney Sixers vs Melbourne Stars match in the BBL8? The free online live streaming of Sydney Sixers vs Melbourne Stars match in the BBL8 will be available on Sony Liv app and Jio TV. What are the probable playing XIs of Sydney Sixers vs Melbourne Stars match in the BBL8? Sydney Sixers Probable XI: Jack Edwards, Joe Denly, Moises Henriques (C), Daniel Hughes, Josh Philippe (wk), Tom Curran, Sean Abbott, Steve OKeefe, Benjamin Manenti, Justin Avendano, Jordan Silk.